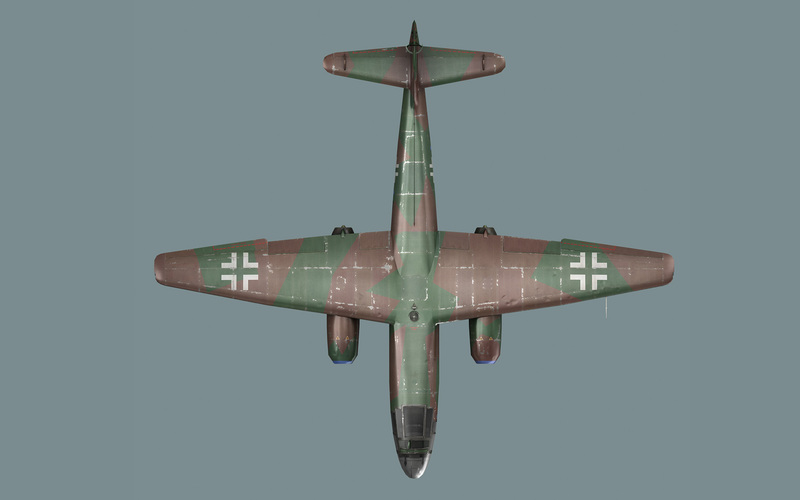 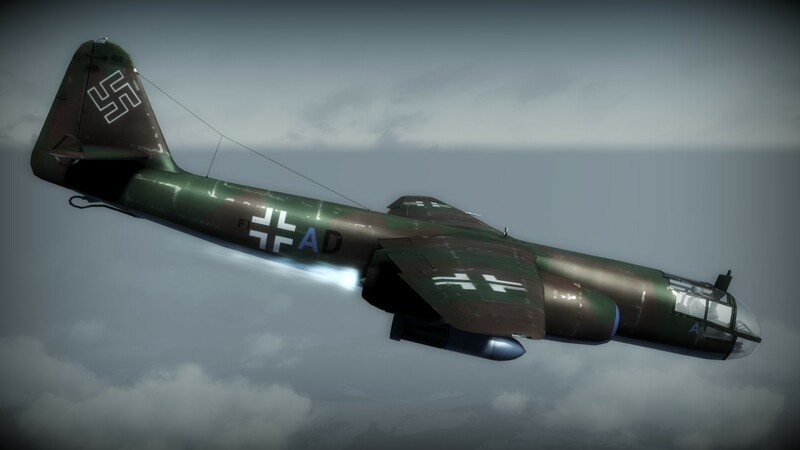 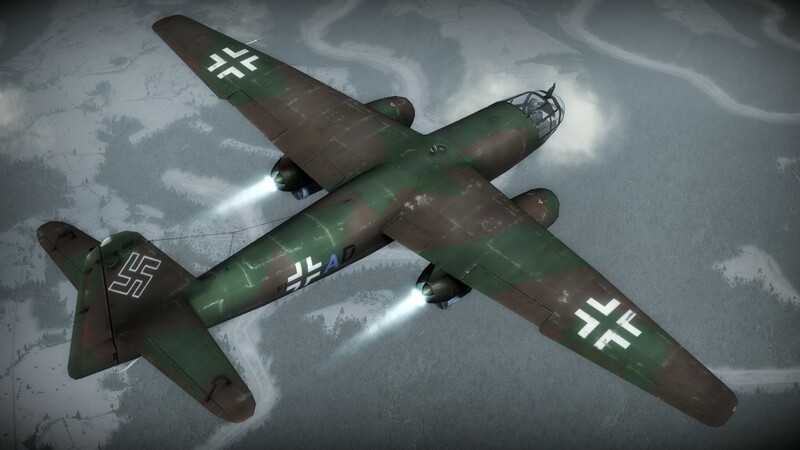 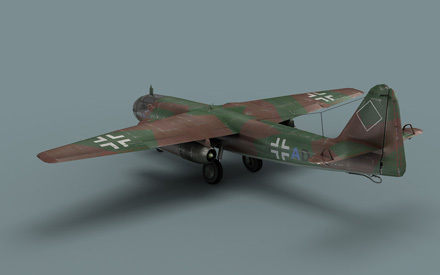 The Arado Ar 234 Blitz (Lightning) was the world's first operational jet bomber, built by Arado in Germany during WWII. It was used by the Luftwaffe for reconnaissance from November 1944 and as a fast bomber against Allied targets from December of that year. 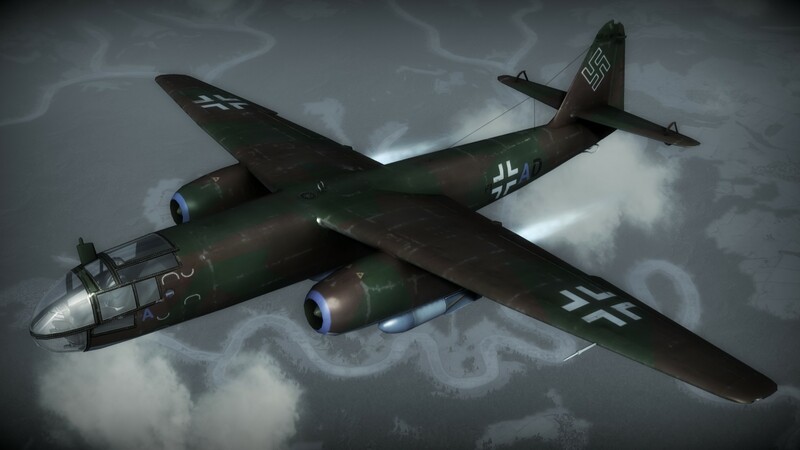 Despite the fact that late in the war the plane was used only sporadically due to fuel shortage, it remained a very difficult target to intercept because of its high speed. 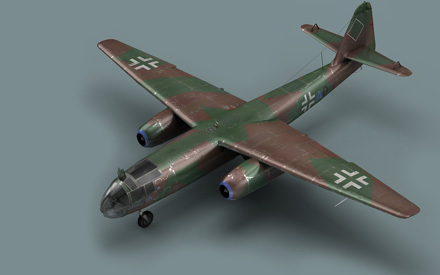 As a bomber, the Ar-234B-2 could carry a payload of up to 2,000 kg and could also be used for reconnaissance.